Rarely available 2 bedroom and 2 full baths first floor condo in one of the few concrete block buildings in Kings Point. You can enjoy serene water views from both bedrooms and updated fully enclosed patio. 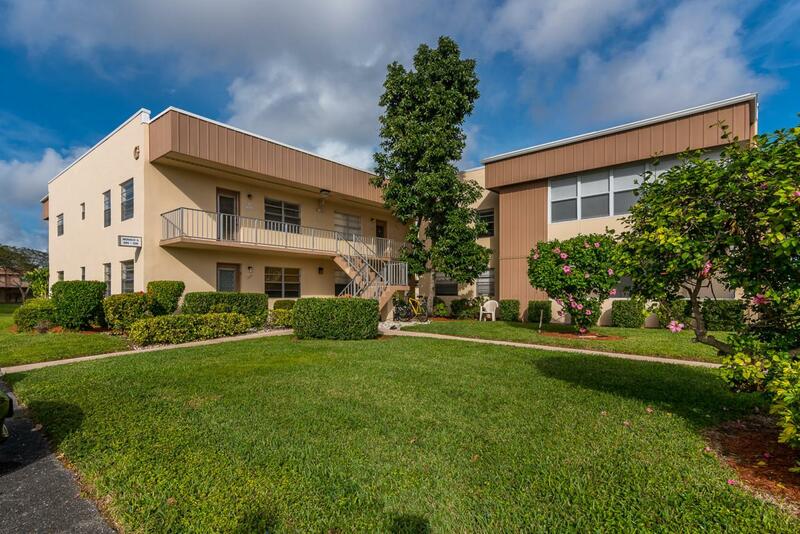 This well-maintained condo has tile flooring throughout, updated bathrooms, renovated kitchen with granite countertops, newer fridge, stove, washer and dryer (with warranty plan until 2020), AC unit installed just 2 years ago (includes 10 year service plan). Kings Point offers incredible amenities, including state-of-the art clubhouse, indoor an outdoor pools with handicap access, 2 18-hole golf courses, fitness center, tennis courts, restaurants, library, workshop, pickleball & bocce ball courts, shuttle transportation, 1200-seat theatre with weekly shows & movies & much more. Listing provided courtesy of Southeast Realty Equities Inc..